Winners: feel free to put the logo on your blog. I’m going to change the rules a bit. (See where I edited them?) I have subscriptions to over 60 blogs, so you’d think it would be easy to pick seven of them, but I prefer to choose a few of my very, very favourites to share with you. These are bloggers who blog regularly and frequently, and who make me laugh, cry, or think twice. Also, who aren’t already flippin’ celebrities like Dooce and Finslippy, for goodness sakes. Here’s my list of blogs that I really, really ♥. First up, my hubby’s blog, Michael’s Meanderings, because his is the one I read most faithfully. It’s amazing what I can learn about him by reading what he writes, despite the fact that we live together and, yes, actually talk to each other, too. Plus he’s funny. Not to mention hot. Next, another Yukon blog belonging to Stacie of Yukon Yahoos!, also known as “Life with Dogs in the Yukon”. We originally met through blogging and I love hearing all about the (10? 12? 14? I can’t keep track these days.) dogs she keeps and runs in the winter. Mommy’s Martini, written by the incomparable MommyTime, is another must-read blog. Her “thinky” posts really make me think and she’s always full of great ideas for activities with kids. Plus, her kids are stinkin’ adorable! And she leaves the most thoughtful comments. Whiskey in My Sippy Cup drew me in from my first sip glimpse. Mr. Lady is witty, frank, and self-deprecating. She has lived through some pretty incredible and nasty crap (I can’t bring myself to swear like her) and is such an amazingly caring person. I admire her greatly. Finally, Looky, Daddy! written by Brian is one of the few Daddy blogs I’ve hooked into. Someone originally pointed me to it because he has a daughter with epilepsy, too. He’s also got twin daughters (toddlers), which I think qualifies him for an award of bravery. But it’s his biting sense of humour that keeps me going back for more. P.S. If you haven’t already, don’t forget to comment on the delurking post before next Wednesday! ← Come one, come all. Delurk, delurk! ohh homemade spring rolls??? Okay, when I come to live in Whitehorse to have wee-spawn #2, and you are on maternity leave you have to teach me how to make those! Whew, okay, we’ll see what we can do about that. They’re actually not hard, just a lot of work. I can send you the recipe, though it might be hard for you to get ingredients in Faro! I’ve been hearted? Thanks! Does the award come with any of those spring rolls? I’ll bring the cafe sua da to wash them down with. Not sure exactly where you are, but I have a feeling the springs rolls would be a little worse for wear by the time they reach you. However, if you’d like to come up to the Yukon to collect, you’re most certainly welcome to at LEAST two. No one can take the award from you now, so hang prepositions whereever you like (especially the ones you don’t know what to do with). Though it is with deep regret, I cannot accept this prestigious award. It has come to my attention that I am related to the awards committee (through marriage) and this may have biased the committee in my favour. Of course the committee was biased in your favour. 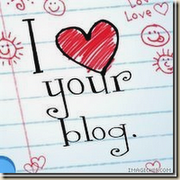 If I’m not qualified to love your blog, who is? I love your husband’s comment! Thank you so much for this lovely award, which I really appreciate. I am flattered that you like my blog this much, since I know you read a lot. Also? I can’t WAIT to try that chocolate cake. As soon as naptime (for the little ones) comes along, and every single night I’m craving chocolate after that!